Directed by Mark Stokes. 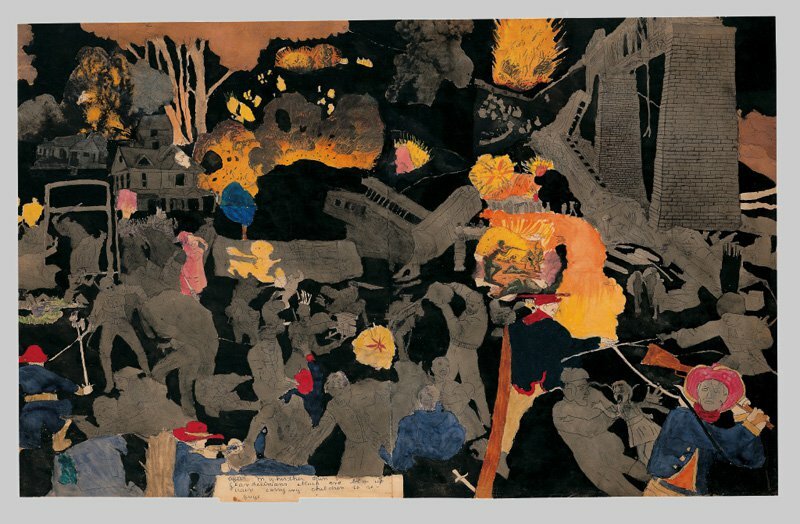 One of the most celebrated “outsider” artists, whose work has fetched close to $100m, Chicago hospital porter and recluse Darger would almost certainly have been forgotten about after his death in 1973 had it not been for his landlord, photographer Nathan Lerner, who rescued two epic novels and many hundreds of works that were discovered in his apartment after he became too ill to leave hospital. Stokes’s film is not the first documentary on Darger: Jessica Yu’s 2004 film “In the Realms of the Unreal” got there first. However, in contrast to Yu’s conventional style, Stokes attempts to reflect Darger’s dystopic mindscapes through the use of archive film and montage, “difficult” music and a variable quality of sound, as well as a willingness to progress through the story at a pace indicative of the years Darger spent working on his secret labours.